I am likewise proud of the outfit I am fighting with. We were given the credit for cracking the Hitler of Gustav lines. Hope we can all be home soon to thank you personally for your fine work. A Scuttlebutt admirer, P.F.C. 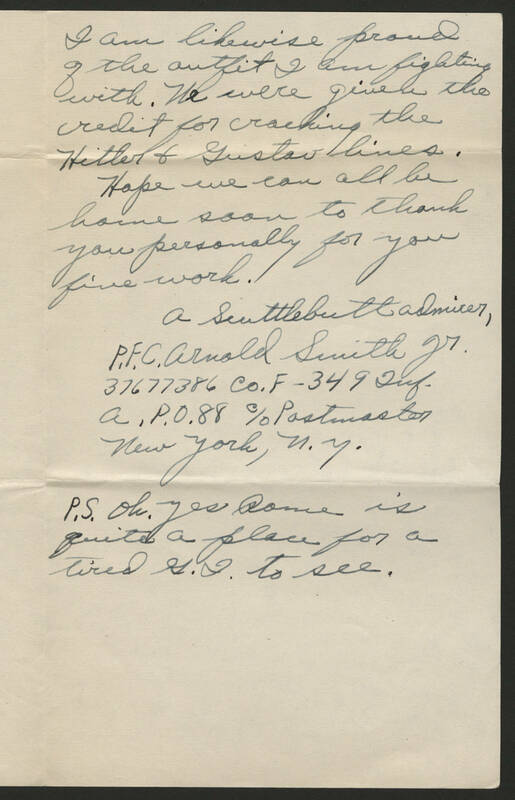 Arnold Smith Jr. 3767738 Co. F - 349 Inf. A., P.O. 88 c/o Postmaster New York, NY P.S. Oh, yes Rome is quite a place for a tired G.I. to see.